Ranjish.com has lots of Urdu Fakhira Batool Poetry. Feel free to add your own Fakhira Batool Shayari here. Fakhira Batool is another tremendous female urdu poet. Her full name is Fakhira Batool Naqvi. She has written poetry not only on love and life but she is also popular for her humorous poetry. Ranjish.com is best place to read Fakhira Batool poetry. 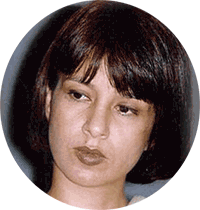 We update our poetry database on daily basis so keep coming back for more Fakhira Batool.